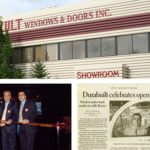 Durabuilt Windows & Doors’ story started with a family of entrepreneurs and their dedicated team. Together, they turned a small window and door shop into one of the largest privately held manufacturing companies in western Canada. Hard work, dedication, and above all else a customer-focused attitude, has shaped Durabuilt into the company it is today. Click through our timeline below to learn more about our history. The Winnipeg Design Gallery opens, as a compact version of our flagship Edmonton Design Gallery. 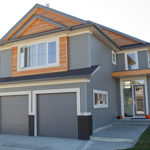 Durabuilt introduces the Calgary Design Gallery, the premier window and door destination in Calgary. Durabuilt is recognized as Canada's Safest Employer- Silver, for the third consecutive year. The Omega and Hybridex window series receive an upgrade to a common chassis design, increasing efficiencies in manufacturing and performance. Extensive fashion choices are revealed, including the addition of on-trend laminate finishes and colour choices. This redefinition of Omega and Hydridex led to a notable mention for Window & Door Magazine’s Crystal Achievement Awards.The Lethbridge Design Gallery opens, boasting many elements similar to the flagship Edmonton Design Gallery such as beautifully integrated product displays and engaging digital displays. 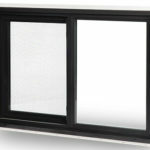 The all new Alpha sliding windows series is launched, providing a design as superior as it is simple. The design garners industry attention and earns the Calgary SAM Industry Innovation Award.Durabuilt and Therma-Tru form an exclusive partnership, giving our customers access to a wider range of product options including brand new designs, endless customizability, and improved performance. Harry Sunner is promoted to President, and Joe Sunner to CEO. 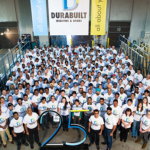 Durabuilt experiences our 25th year in business, still embracing old-world attention to detail, quality and craftsmanship that they have been built on. The milestone called for new branding and the introduction of our customer-centric tagline, all about you. 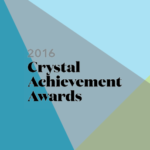 This year also became our induction into Canada's Best Managed Companies. Durabuilt launches the Vivacé line of windows and doors, providing a high end residential and commercial window offering. 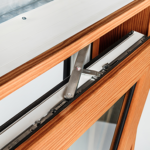 Durabuilt launches the industry’s first window that features a 5-Seal Defense designed with five seals over the standard three that delivers the ratings of a “fixed” window on an operating casement. The 5 Seal Defense System is now exclusively part of our Hybridex collection. 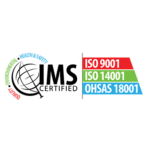 Durabuilt becomes the first and only window and door manufacturer in Canada to achieve Integrated Management Systems (IMS) certification. Durabuilt continues to innovate with new products such as the maintenance-free Everlast Composite Door Frame, the Eclipse Aluminum Cladded Door and the exclusive launch of European inspired X-Drive hardware on all Durabuilt casement & awning windows. Durabuilt also officially opens a Design Gallery in Saskatoon, Saskatchewan. Durabuilt opens a Design Gallery in Calgary, Alberta. Durabuilt is recognized for the first time on the Window & Door Magazine’s Top 100 North American Manufacturers list. Durabuilt has maintained and grown our position on this list year over year since. Durabuilt also opens a Design Gallery in Winnipeg, Manitoba. Durabuilt launches DuraQuote 2.0, a proprietary Enterprise Resource Planning system that fully integrates sales, planning and production cycles. Durabuilt also opens a Design Gallery in Lethbridge, Alberta. Durabuilt launches the industry’s first and only Tri-Bridex window series featuring an aluminum exterior, PVC interior and wood interior. Our ICF and proprietary X-Treme J series designed exclusively for new home construction are launched. 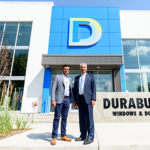 Durabuilt moves into its fifth and current location in Edmonton's west end. Today, our head office has been expanded to include 180,000 sq ft of production space that features sophisticated robotics from around the world. The redesigned Hybridex 910 was launched, adding reinforcing capabilities and improved water evacuation to achieve superior performance results. 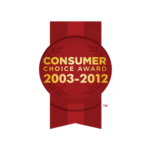 Durabuilt Windows & Doors is recognized with the Consumers’ Choice Award within the window and door category in Edmonton, and we have maintained this achievement every year since. 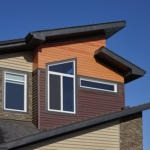 The year also marks the launch of the first true Hybrid (PVC/Aluminum) window system of its kind in the western Canadian market, Hybridex 900. Durabuilt moves into its fourth location totalling 60,000 sq ft. The space features a manufacturing facility and Durabuilt opens its doors to the second Design Gallery location on the south side of Edmonton. Durabuilt grows again, moving into our third 26,000 sq ft location to expand our offerings to include exterior doors. 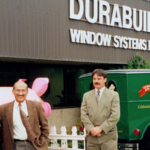 Durabuilt Window Systems becomes Durabuilt Windows & Doors, as it remains known today. The Sunner family becomes the sole owners of Durabuilt, and initialize the production of PVC windows manually by hand with 12 employees in our new 10,000 sq ft space. 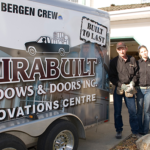 Durabuilt Window Systems is incorporated in Alberta, operating from our first 3,000 sq ft location.